Follow the latest plans for youth clubs and youth services in Dorset; visit the Dorset-for-you website page 'Support for young people'. ​If you know of any other groups that are running and not featured on here, please let us know! 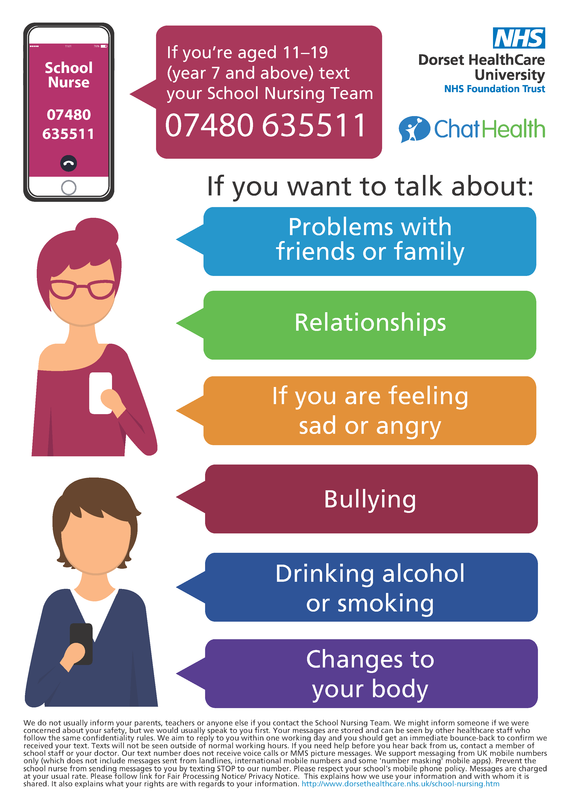 LiveWell Dorset is a free service for people over the age of 19 who live in Bournemouth, Poole and Dorset who would like support to change their lifestyle. They can support with things such as quitting smoking, losing weight, drinking less and adopting a more active lifestyle. See here for their website and how to access their services. Click here to download the leaflet. if you think we have missed something. If there is a particular subject you think we should include in our links, send us a suggestion. You don't have to include your name or email address if you prefer to remain anonymous and do not require a reply. Names and email addresses given will be treated as completely confidential. Also if you would prefer to talk to someone www.papyrus-uk.org has a lot of helpful information and support for anyone up to age 35 who is feeling suicidal. Phone their Hopelines 0800 068 4141 or 0778 620 9697 M-F 10-10 W/e 2-10 or use their Text 07786 209697. Visit our 'Emotional and mental health' page. It includes links to local and national organisations giving support and information on a wide range of subjects including those listed on the right. ​Chat or text online or talk on the phone. Watch the ChildLine video. ​Steve Cox O'Rourke Tel: 01202 225724. ​If you are a young person in Christchurch who is having problems and you would like some support, get in touch with Steve who will find the best way to get you some help. Visit the Dorset Healthcare School Nursing website. Click on video below to learn a lesson for a happier life.